The early church councils took place during the Church of Pergamus period described in Revelation 2. The third of the seven churches was assaulted by two false doctrines: the doctrine of Balaam and the doctrine of the Nicolaitanes. 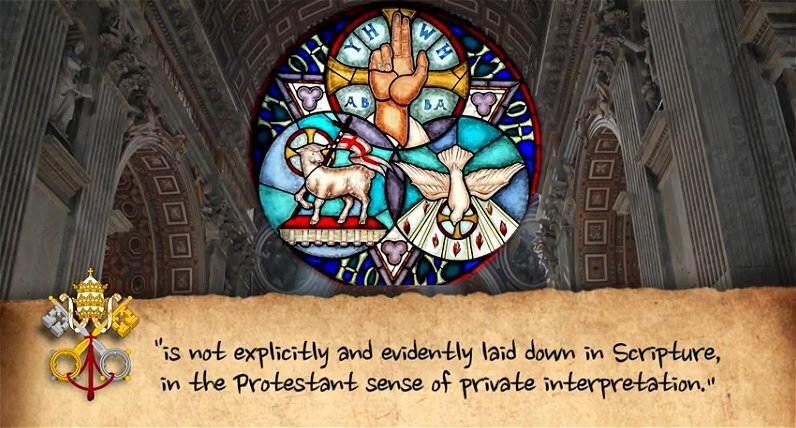 It is no coincidence that the doctrines of Sunday sacredness  and the Trinity  emerged at this time. Neither can find any authoritative support within the pages of the Bible. Both are claimed by the Roman Church as evidence of her ecclesiastical authority. 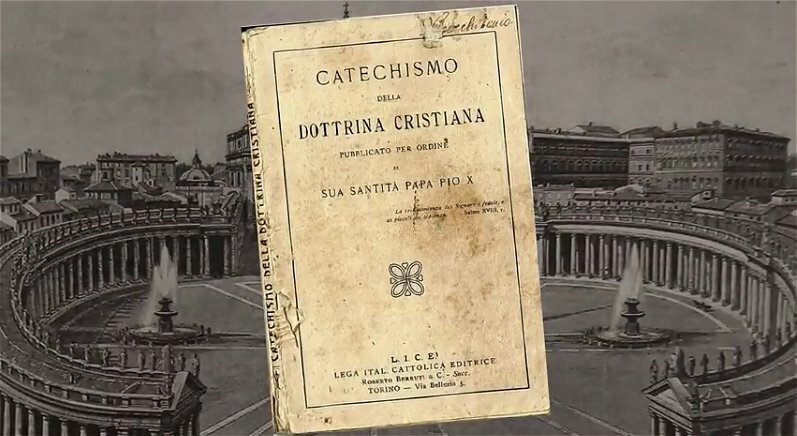 The Catholic Doctrinal Catechism from 1854 readily demonstrates the papal claims over Scriptural authority and the acceptance by Protestants of papal tradition. “A. 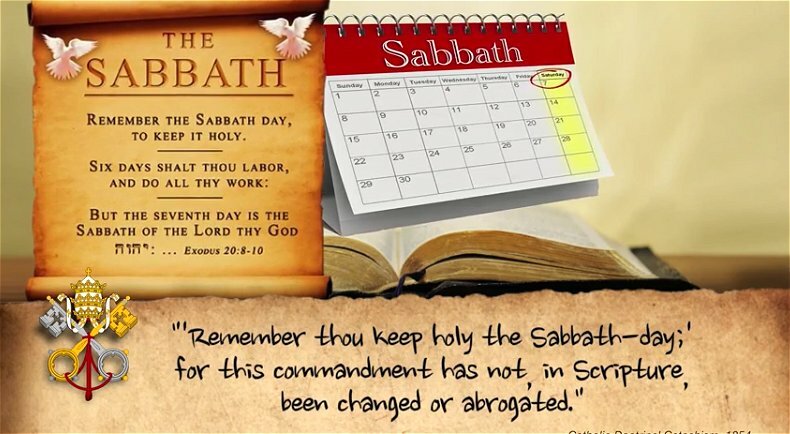 Had she not such power, she could not have done that in which all modern religionists agree with her; - she could not have substituted the observance of Sunday, the first day of the week, for the observance of Saturday, the seventh day, a change for which there is no Scriptural authority. “Q. Do you observe other necessary truths as taught by the Church, not clearly laid down in Scripture? Today the whole world wonders after the Vatican (Rev 13:3) and so few “follow the Lamb whithersoever he goeth” (Rev 14:4). Jesus predicted this when he said, “Narrow is the way, which leadeth unto life, and few there be that find it” Matt 7:14. Daniel saw the whole thing. “…and behold a fourth beast, dreadful and terrible, and strong exceedingly; and it had great iron teeth: it devoured and brake in pieces, and stamped the residue with its feet: and it was diverse from all the beasts that were before it; and it had ten horns.” Dan 7:7. 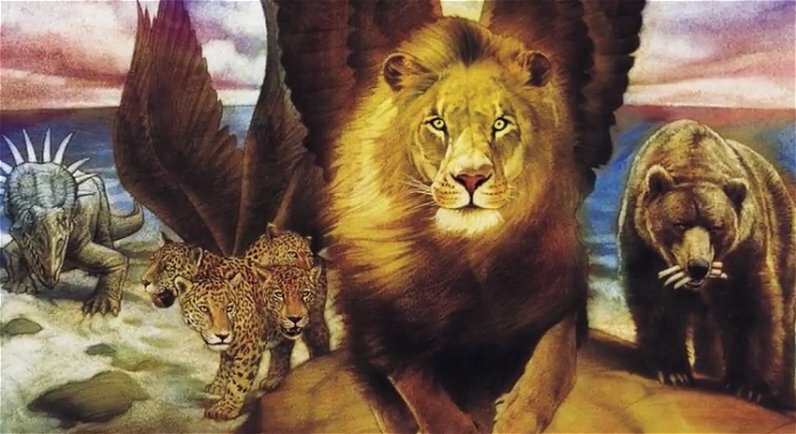 Daniel was then told that “these beasts which are four, are four kings, which shall arise out of the earth.” Verse 17. 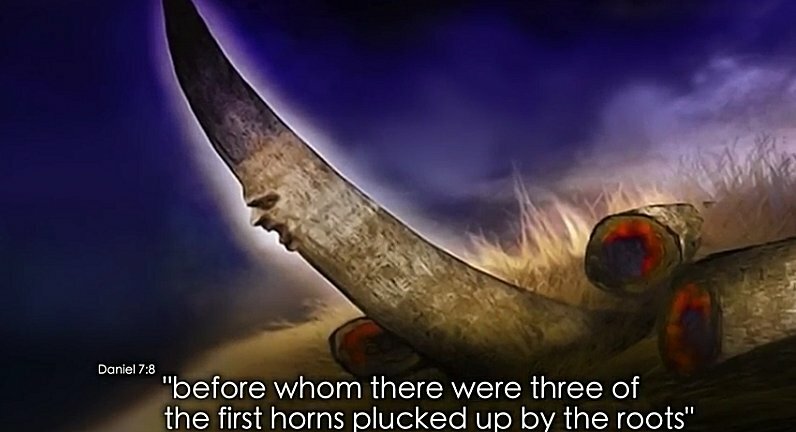 “I considered the horns, and there came up among them another little horn, before whom there were three of the first horns plucked up by the roots.” Dan 7:8. Daniel’s dream was a prophecy of future events. From his point in time (about 545 BC), he saw the sequence of world kingdoms—Babylon, Persia, Greece—leading up to the fourth kingdom: Rome. History records the fall of imperial Rome in 457 AD as invading tribes from the north divided the empire into 10 regions of power: the ten horns. But from among these a little horn arose that would “pluck up” three of the original powers. 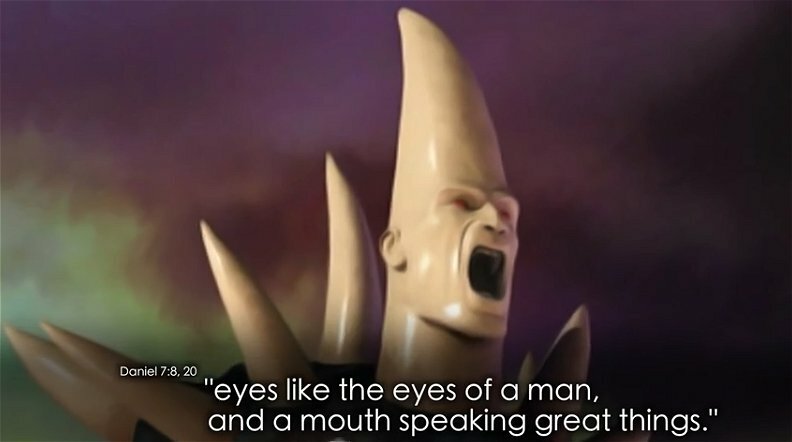 This little horn had “eyes like the eyes of a man, and a mouth speaking great things” Dan 7:8,20. It “made war with the saints and prevailed against them” verse 21, and “shall subdue three kings” verse 24. This little horn “shall speak great words against the most High, and shall wear out the saints of the most High, and think to change times and laws” verse 25. What was this little horn power? It opposed the most High (God); it opposed the people of God, making war with them, and winning the war by subduing three kings, plucking them up, uprooting them, removing them from power. In Daniel 7 this little horn power lasts for 3½ times (verse 25). In the book of Revelation we see it again. “And there was given unto him a mouth speaking great things and blasphemies…against God.” Rev 13:5. “And it was given unto him to make war with the saints, and to overcome them” verse 7. This is obviously the same power that opposes God and His saints, His holy people. “And power was given unto him to continue forty and two months” verse 5. This is another clue equal to the 3½ times of Daniel 7. 42 months of 30 days each is 1260. 3½ times of 360 days each is 1260. But this power that comes after “the falling away” of 2Thes 2:3 “opposes and exalts himself above all that is called God, or that is worshiped so that he as God sits in the temple of God, showing himself that he is God” verse 4. This is just amazing! “O Lucifer, son of the morning!” Isaiah 14:12 identifies one who would presume to be God. He was the one who “sealed up the sum, full of wisdom, and was perfect in beauty.” Ezekiel 28:12. He was “in Eden the garden of God; every precious stone” was his covering (verse 13). He was “the anointed cherub that covers (the ark, the throne of God: Ex 25:18-20); he “was upon the holy mountain of God” and he “walked up and down in the midst of the stones of fire” verse 14. He was “perfect in his ways from the day that he was created, till iniquity was found in him” verse 15. “Thou hast said in thine heart, I will ascend into heaven, I will exalt my throne above the stars of God: I will sit also upon the mount of the congregation, in the sides of the north: I will ascend above the heights of the clouds; I will be like the most High” Isaiah 14:13,14. I will be God! 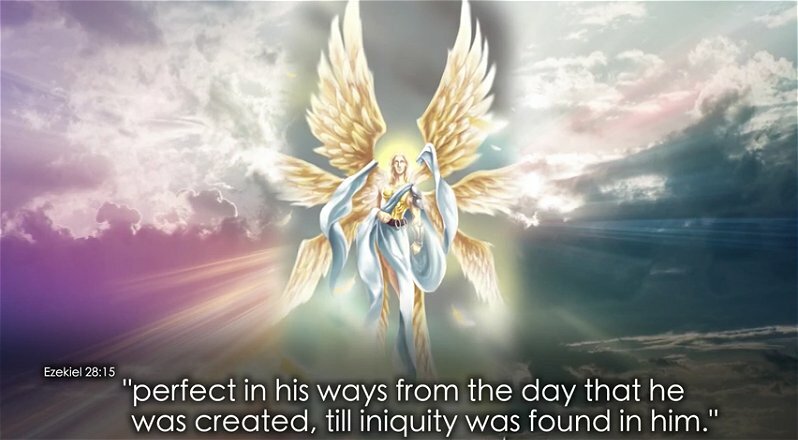 Lucifer, this prince of angels, was determined to go straight to the top, to exalt his throne, above the clouds, above the stars, to ultimately be God! He would let nothing get in his way. 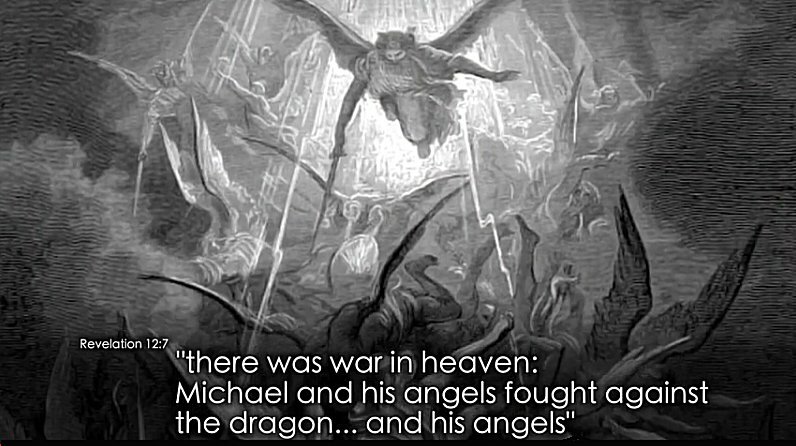 As a result, “there was war in heaven: Michael and his angels fought against the dragon…and his angels” Rev 12:7 “the third part of the stars of heaven” verse 4. “And the great dragon was cast out, that old serpent, called the Devil, and Satan (originally Lucifer), which deceives the whole world” after deceiving a third of heaven (verse 9). “And when the dragon saw that he was cast unto the earth, he persecuted the woman (the church: Jer 6:2) which brought forth the man child (Jesus: Luke 2:7). 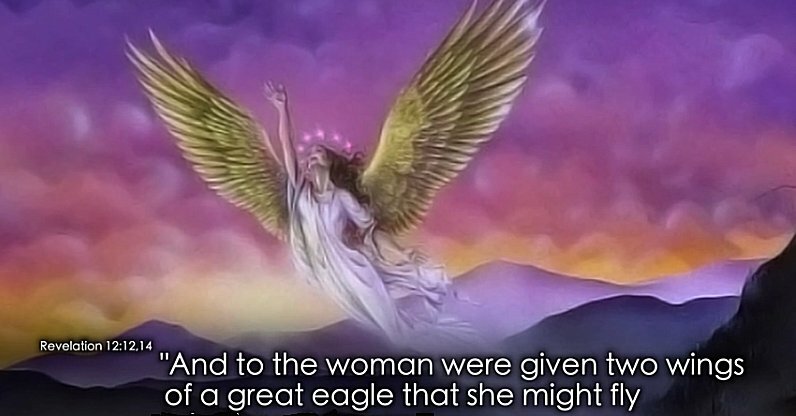 And to the woman were given two wings of a great eagle that she might fly into the wilderness where she is nourished for a time, and times and half a time” Rev 12:13,14. The same time period, 3½ times, 42 months, 1260 days of persecution by the dragon, by the covering cherub who would be God. This was now the time of Thyatira, the fourth church of Revelation 2:18. Another woman, like Jezebel of old, was allowed to teach and mislead the servants of God (verse 20). 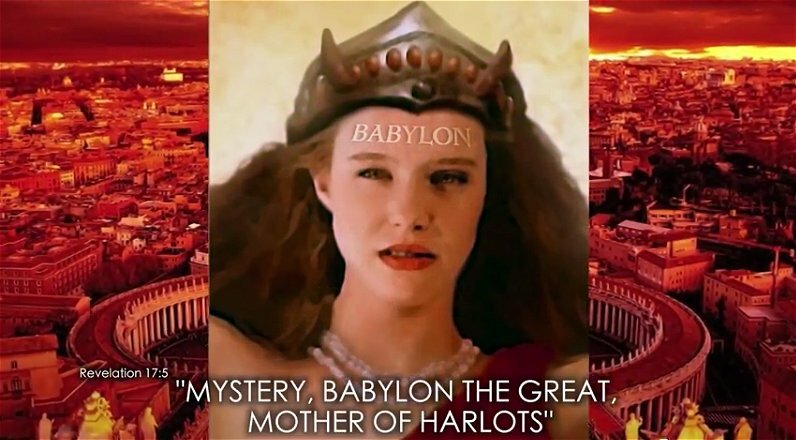 Like Jezebel the queen who controlled the prophets of Baal, this church “reigns” (Rev 17:18) bearing on her forehead the name “MYSTERY, BABLYLON THE GREAT, MOTHER OF HARLOTS” (verse 5). 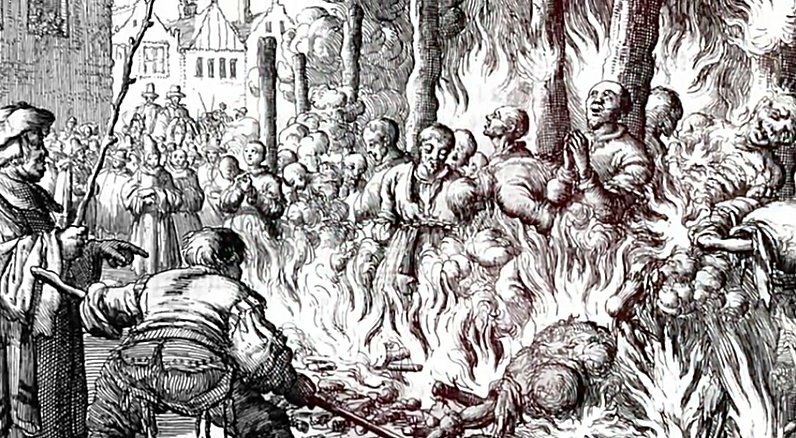 From the 6th to the 18th centuries the church of Rome ruled with the kings of Europe the Holy Roman Empire, eradicating what it considered heresy, burning scores of thousands at the stake for following their conscience and the Word of God. At the very beginning of her rise to power, the church declared war on those who refused to follow her new creed. Three Christian nations were her target: the Ostrogoths from the Balkans, the Carthagenians in North Africa, and the Heruli of Italy—all rejected Rome’s trinity. And it was this that drew the dragon’s fire. The Heruli were first to fall in 493. Next, the Carthagenians were subdued by the Roman army in 533, and finally the Ostrogoths in 538. The Christians who believed Jesus to be the true Son of the one true God were exterminated by the little horn power of papal Rome because they refused to accept “a god whom his fathers knew not” Dan 11:38.